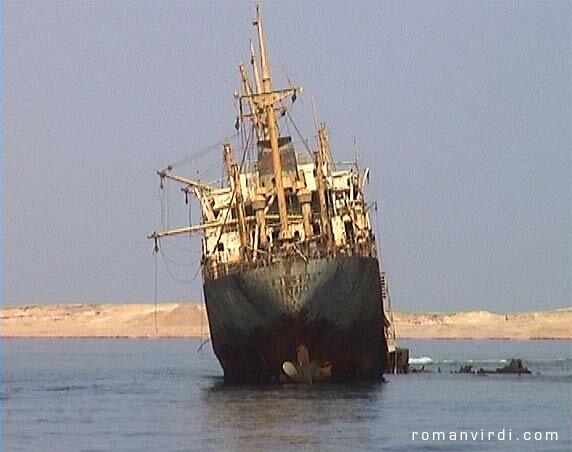 "The Louilla stranded on Gordon Reef in the straits of Tiran in 1981. There are four reefs close together (the others are Thomas, Woodhouse and Jackson). Numerous ships have run aground on them due to strong waves and currents. There are some great dive and snorkel sites in the Straits of Tiran. Due to the current, drift dives are sometimes possible!"